Want to enjoy football and other sports in style? 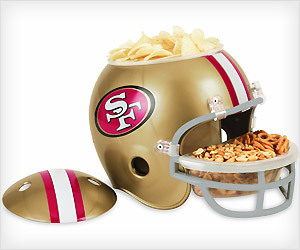 Then checkout NFL Snack Helmet, available in variety of team logo design patterns. This PVC plastic helmet has removable tray that fits into helmet design with removable snack bowl at top.